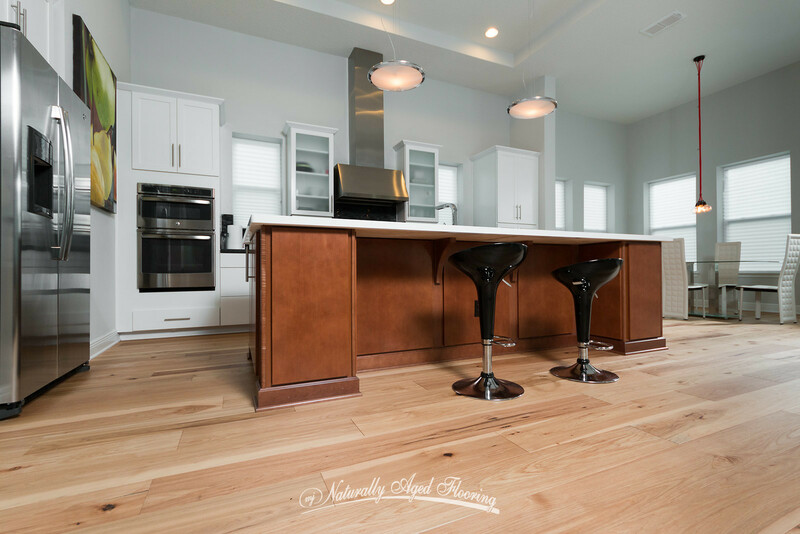 With Naturally Aged Flooring's Sunset Hills, the fine detail and minimalist approach allows this engineered hardwood floor to come to life. It's made with American hickory which is known to be one of the hardest woods to come from the United States. 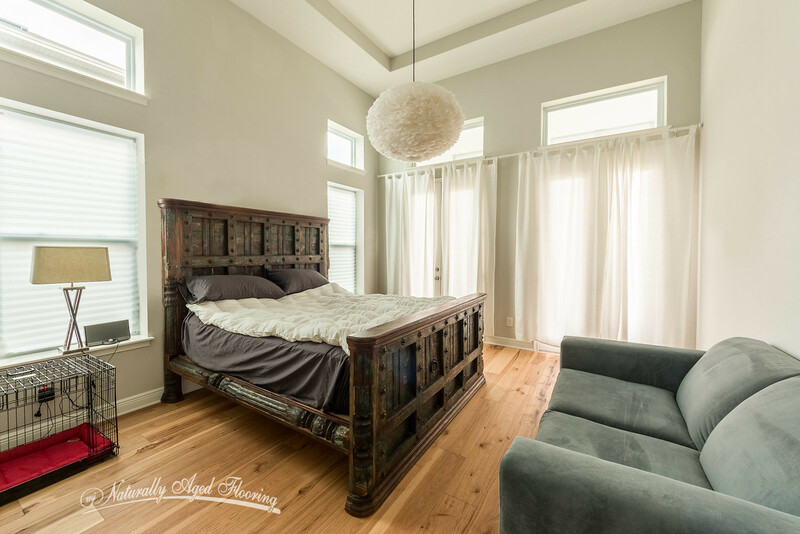 This versatile species of hardwood can easily accompany any contemporary floor plan, allowing the bright, aesthetically pleasing nature of this flooring to set itself apart from its heavily distressed, over-designed competitors. 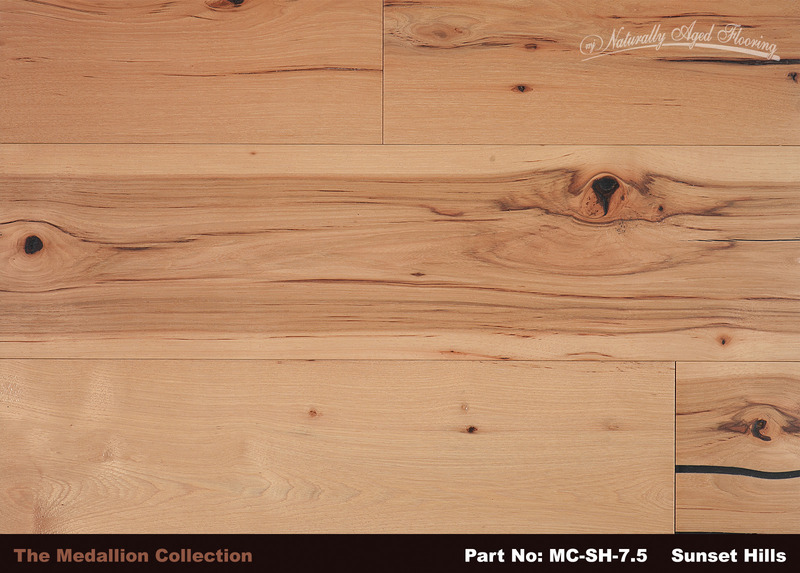 Many products in Naturally Aged Flooring's Medallion Collection are wire-brushed, and a select few are also treated with a hand-scraped finish; With Sunset Hills you get both. 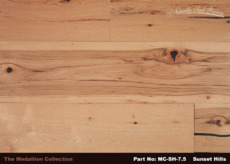 The distressing on NAF's hickory products, is a highly sought after look in the flooring industry. While most don’t produce flooring that is both hand-scraped and wire-brushed, Naturally Aged Flooring puts in the extra work that provides a lasting experience for each and every customer. 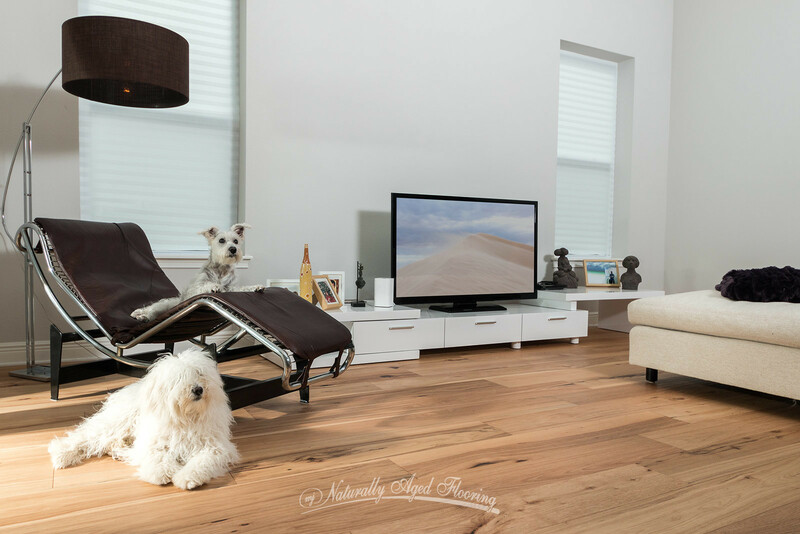 With board lengths varying from 2' to 6', it can be expected that no matter how this floor is laid down, natural timber will be reflected from every corner. Like most floors in the Medallion Collection, Sunset Hills is available on a 9/16" x 7 1/2" platform, which has been highly successful since its inception. 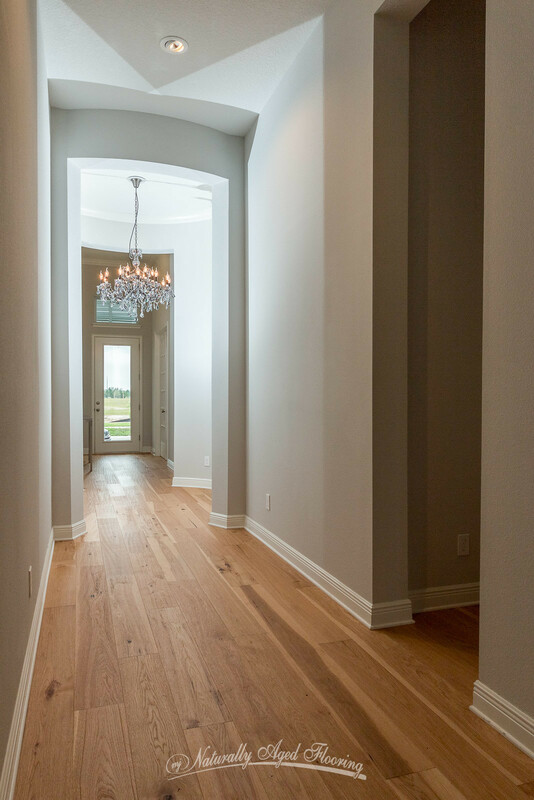 Extravagant light fixtures, open floor plans, French doors, and natural sunlight are just some of the things that come to mind when we ask interior designers to imagine this product in their concepts. 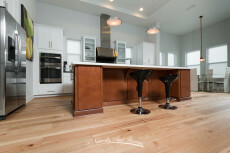 In the Sunset Hills room scene photographs, one can see some of these ideas which capitalize on the lighter tones, rustic knots, and low gloss UV Polyurethane finish of this exquisite floor, elevating the living spaces and contributing to the success of a beautifully designed home. Sunset Hills looks great in natural, ambient light, and under artificial lighting. A functional hardwood species with this much class is a rare find in the flooring industry.